Year after year, the FLIWC draws a diverse panel of the highest quality judges from all over the world. Judges for the Finger Lakes International Wine Competition (FLIWC) are drawn from a wide set of qualified national (~ 75%) and international (~ 25%) wine professionals. 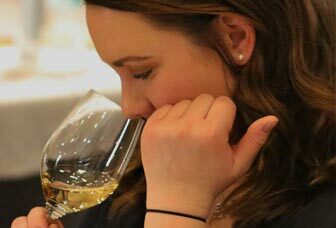 They include Oenologists, Certified wine judges, Sommeliers CMS), Educators (SWE), Winemakers and Academicians, as well as WSET and MW students and graduates. Given the reputation and respect that the FLIWC has achieved through years of demonstrated professionalism and the competition’s widely lauded funding contribution to Camp Good Days and Special Times - over 3,000 wines are entered. Judges are carefully selected and invited to apply. The competition involves 50 to 60 judges that are organized into panels of 3 or 4 that represent a mix of professions and geographic regions. Wines are judged ‘blind’ in flights by class with only non-specific information such as varietal, vintage residual sugar and % alcohol. 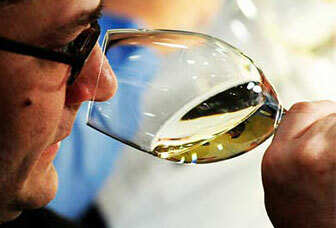 The FLIWC utilizes a ‘consensus’ judging process wherein each judge evaluates each wine independently. An experienced Panel Captain then conducts a discussion to arrive at a final determination for each wine. Medals awarded include Bronze (commercially sound), Silver (meritoriously representative),Gold (exceptional in it’s class) and Double Gold (unanimously exceptional & remarkably distinctive). Panel decisions are not altered or adjusted in any manner. Best-in-class awards include – Sparkling, Chardonnay, Riesling (John Rose Trophy), Cabernet Franc, Cabernet Sauvignon, Merlot, Fruit, Ice Wine (Crystal Grape Trophy) and Best South American wine (Raul Castellani Award).